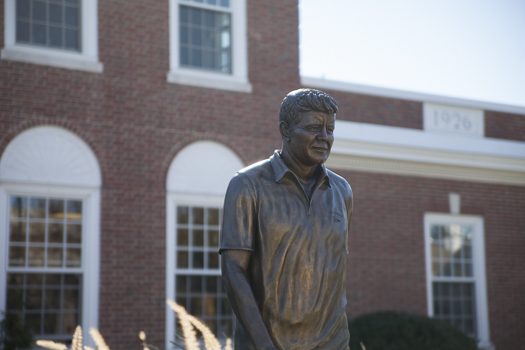 BOSTON (AP) — A group dedicated to preserving the legacy of John F. Kennedy hopes a global scavenger hunt will help keep the slain U.S. president on the map. The JFK Library Foundation launched the hunt Friday, providing clues to help people populate an interactive online map with the hundreds of schools, streets and parks named for Kennedy. The “Where in the World is JFK” map allows anyone in the world to add places named for JFK and upload an image of the location or a selfie. Foundation executive director Steven Rothstein says the project is designed to showcase the broad impact Kennedy had worldwide. The nation’s 35th president was assassinated in Dallas on Nov. 22, 1963.